For some bizarre reason, I really quite enjoy creating dishes that resemble other dishes, especially eggs. 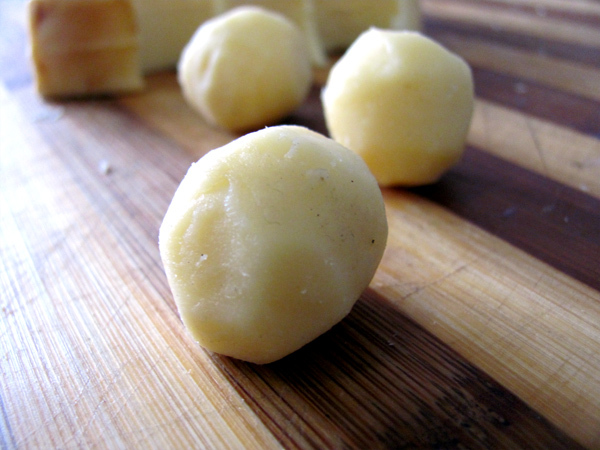 Maybe it’s the 2 part combo of faux yolk/white that work so well in so many dishes? Simplicity in a dish with a twist; even when things seem obvious, in fact, especially when that is the case. Or it could just be that I enjoy the fact that it comes in it’s own receptacle. Whatever the case, it’s something small, fun and in my humble opine, delicious. Here is my savoury fake raw egg. 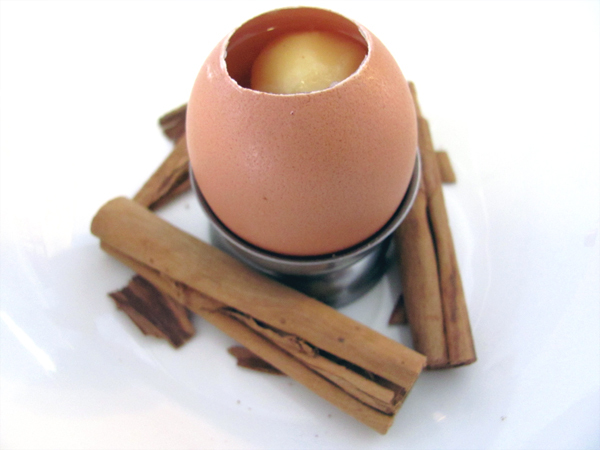 It’s hard to eat this straight out of the egg so the diner can put it into a shot glass with some cinnamon sticks. 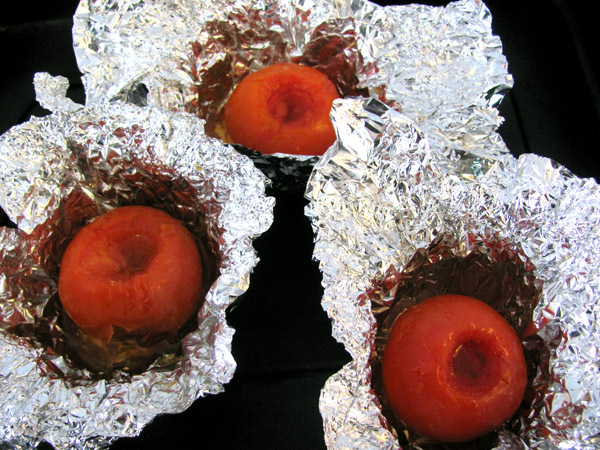 This “white” of the egg is a sweet tomato consommé/juice that is made by cutting the tops off tomatoes, filling with brown sugar, sealing with foil and popping in the oven at 180° for 20 – 30 minutes. You can check up on them from time to time and see how the juices and dissolved sugars collect at the bottom. The longer you cook it, the more juice you will get. I gave the sugar a quick blow torch before putting in the foil to give it some caramel notes. Once you are happy with the sauce/juice, pour it off, and strain till you have a clear (and slightly amber liquid). 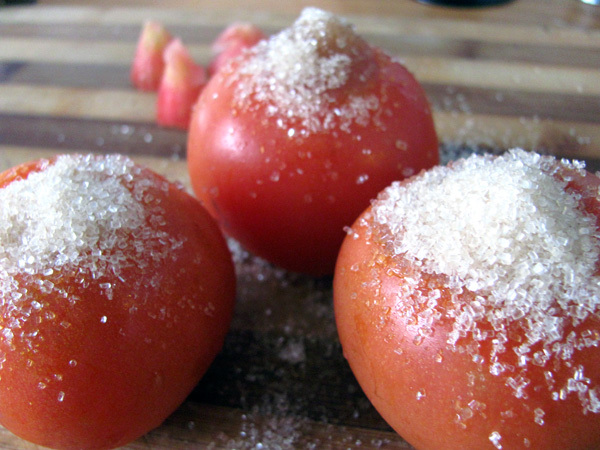 For some added tomotoey goodness, you can put some tomato stalks in the liquid and heat. You don’t want it to boil though. It took about 3 tomatoes to make this. Extra cooking time might be the solution. It’s pretty darn good though. 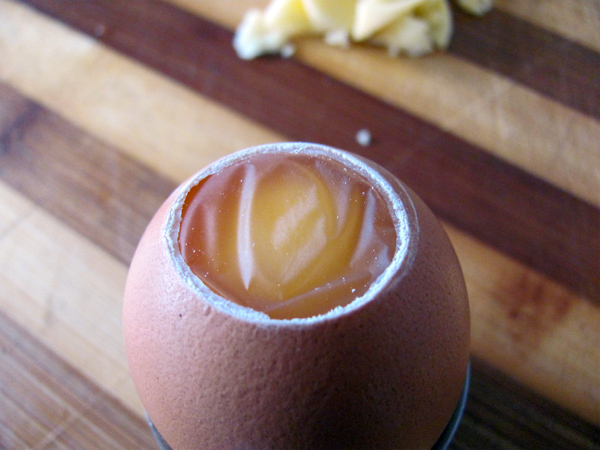 Next up is the yolk part of our eggy trickery, which is a smoked Milram cheese. I picked it more for the consistency than the smokiness but I’m really glad I did. Originally I was on the lookout for fresh mozzarella balls. With a steak knife I slowly cut through the shell and left the inner membrane intact. 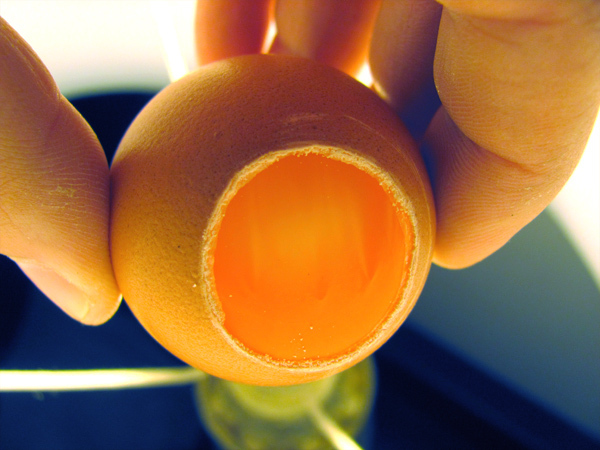 It really is pretty cool to look into an egg without it falling out. I must admit that the scientist in me is really quite keen to do this to a fertilized egg and watch it as it grows and hatches. 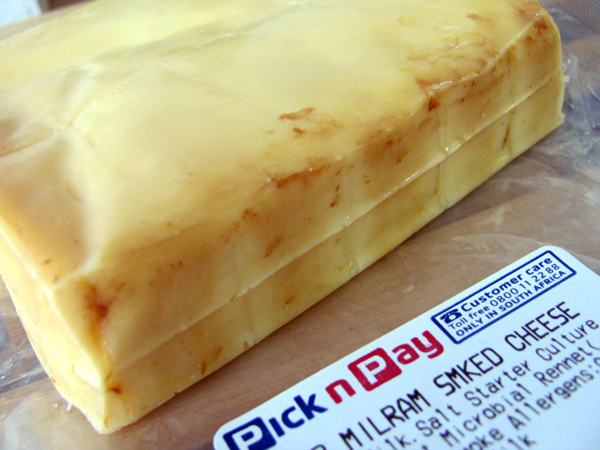 Smoked cheese. This makes me so happy it almost brings me sexual excitement. And who am I kidding when I say “almost”? “Mmmmmmmmmmm!” Is the appropriate response. 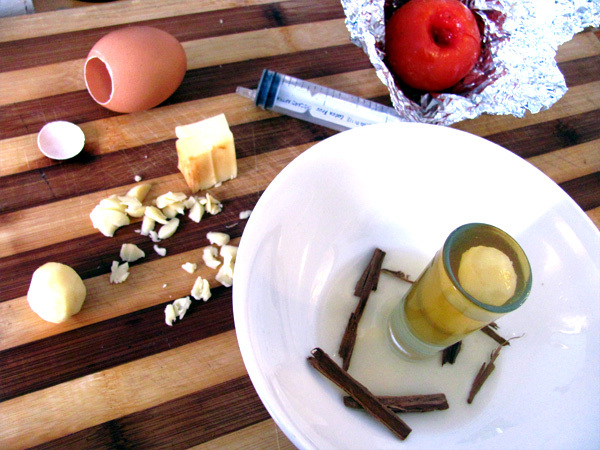 And there you have it: Tomato consomme and smoked cheese fake egg on nest of cinnamon. NOTE: Make sure to wash out the egg shell thoroughly before using it for food stuffs.